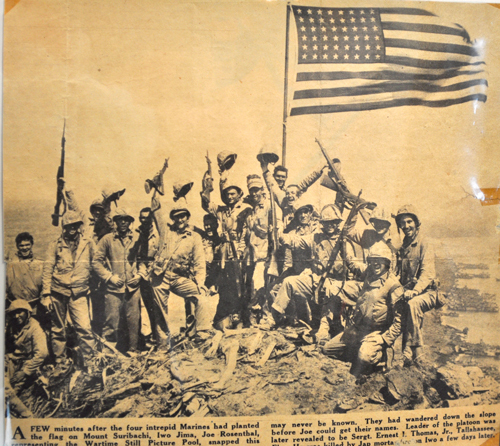 Welcome to this web site honoring U.S. Marine Sergeant Michael Strank, one of the six men who raised the United States flag over the tiny Pacific island of Iwo Jima during World War II. Several veterans organizations from Michael Strank’s hometown of Johnstown, PA organized a Strank Project to salute the men and women who served in World War II. Every day we have fewer and fewer surviving World War II veterans. We want young people of today to know what their grandparents endured and what they accomplished. The world is a better place because of the sacrifices made by that “greatest generation.” May God bless America. 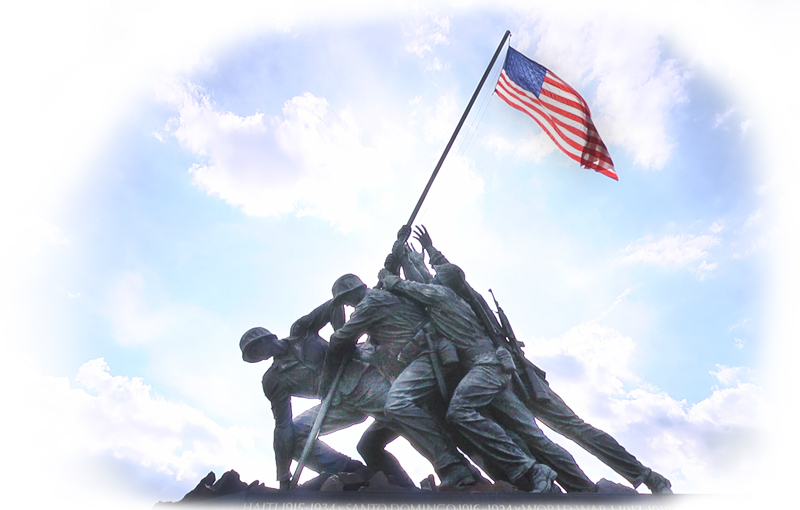 Our Strank Project coordinated with the 70th anniversary of the Iwo Jima flag raising. Funds were donated to place a granite monument in a small military park in Franklin Borough, Johnstonw, PA, close to where the Strank family settled when they immigrated to America. 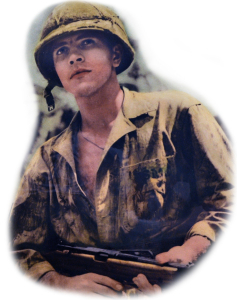 Next, our local veterans group commissioned a video documentary about Michael Strank. It is not a war movie, but a very personal picture of one young man who made the ultimate sacrifice for his country. The story is told by family members, neighbors and local veterans. The narrator is former Pennsylvania Governor and Homeland Security Secretary, Tom Ridge. The video was titled: Our Flag Still Waves, and it premiered during a community celebration in February, 2015 at the Cambria County War Memorial Arena. More than a thousand people attended the event. The keynote speaker was Brigader General David J. Furness, U.S.M.C. Click play button for video of Brigader General David J. Furness, U.S.M.C. remarks at video premier. Additional pages of this web site offer historical detail about the events of World War II in the Pacific. This information was prepared by a local Cambria County history student, Scott Krug. We thank him for his efforts. with limited funding through the Community Foundation for the Alleghenies. Click play button above for remarks by Dale Wicks, producer/director of Our Flag Still Waves. You may also purchase a DVD or Blu-ray copy of our 38-minute documentary, Our Flag Still Waves. It is a powerful collection of memories from people who knew Sgt. Michael Strank. The program has aired on our local public television station, WPSU, and has received many favorable comments. To purchase a copy, please contact WIX PIX Productions at 814.322-1505 or Wessel & Company at 814.536.7864. Cost is $30.